Welcome to the UK's first wine podcast. 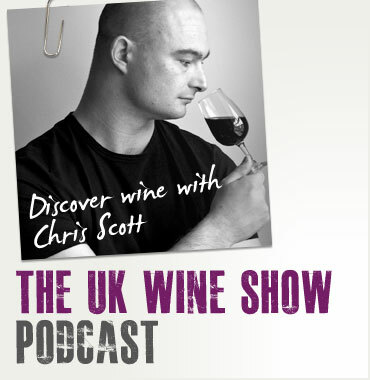 I'm Chris Scott and the UK Wine Show will be exploring the wine scene in the UK. During each show I'll interview winemakers, consumers, critics, wine bar owners, you name it, if it's about wine in the UK it will be covered. Almost all the good wine from around the world washes up on these shores so we'll find out more about the people behind the wines that make a splash. Personally I think a bit of knowledge can significantly improve your enjoyment of wine, so I'll be picking up and passing on some great wine tips & tricks throughout the shows. Subscribe to the UK Wine Show.